Cooking and party-planning are two of my favourite things and, luckily, they go well together. 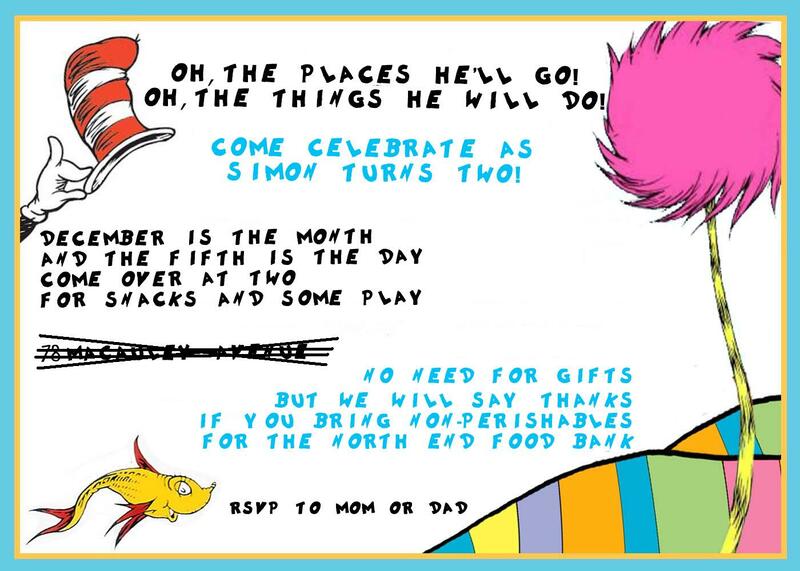 Because of his current favourite books, we decided to put a Dr Seuss spin on Simon's 2nd birthday party. Where does one get a cookie cutter shaped like a fried egg? Just bend a round coockie cutter until it looks right! No clever name, but these treats just looked so fun and silly. Similar to Rice Krispie squares but made using Trix cereal and rolled into balls, the bright colours and abnormal shapes were a hit with the kids! Thing One and Thing Two were positioned running up the stairs from our entryway, greeting Simon's guests. I projected an image found online, traced it on to bristol board, coloured it, and cut them out. I loved the "coming to life" effect that the third dimension of the ribbon and balloon gave them. I made these pom poms in alternating red and white tissue paper that were hung with fishing line from the ceiling, but they were somehow missed in our photos. 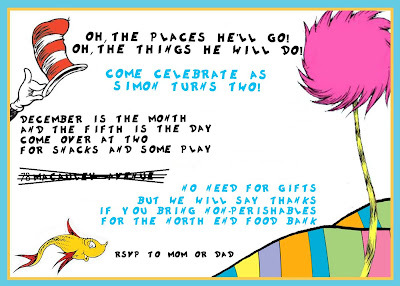 We sent this invitation to his friends to invite them (and their parents) to join us. Our kids' birthday parties are always donation parties, where we ask that our guest bring a donation of non-perishable food for our nearest food bank in lieu of a gift. For our donation box this year, I used a quote from The Lorax that got people talking: "Unless someone like you cares a whole awful lot, nothing is going to get better. It's not." One person even asked if they could have the sign - and of course, I obliged! I had quite a few other ideas for food and decorations that just didn't come into fruition in time for the party (chasing two toddlers at 8 months pregnant will do that to you), but I'd be happy to share some ideas if you'd like to leave a comment. 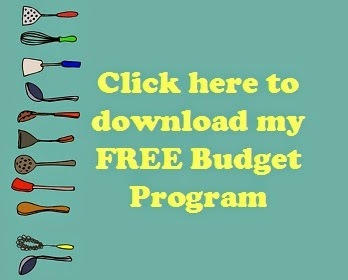 I'm linking this up with What's Cooking with Ruthie's Super Saturday Show & Tell, and Thirty Handmade Days Linky Party!